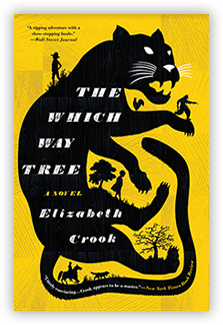 In her third novel, author Elizabeth Crook creates a transporting story of one family’s legacy over the course of one hundred years, stemming from the diaries of a frontier woman faced with the duties, passions, and dangers of her times. In The Night Journal, the diaries of Hannah Bass have attracted the attention and devotion of academics and readers for decades. Candid and passionate, written in the 1890s, the journals offer the rare account of a woman in the American West during the Victorian era, a time of expansion, indiscriminant violence, and burgeoning industry. Nearly a century later, the journals have been edited and published to great acclaim by Hannah’s only child, Claudia Bass, known to all as Bassie, now a retired professor of southwestern history and respected worldwide for her work transcribing her mother’s journals. Bassie’s granddaughter, Meg Mabry, however — a thirty-seven-year-old career woman who as a child was raised by Bassie and remains bitter toward Bassie’s domineering, caustic guardianship and the burden of her expectations — finds the very thought of the family legacy oppressive and refuses even to read the journals. 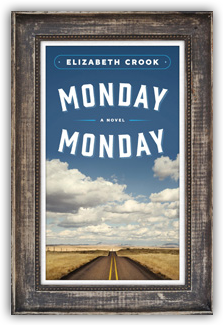 When Bassie learns that the hill on the property of her childhood home is going to be flattened to make room for modern expansion, she insists that Meg travel with her to New Mexico to recover the skeletal remains of two dogs her mother buried there. She recalls being awakened during the night to the sound of gunshots and remembers seeing her mother, Hannah, and a man named Vicente Morales take a pickax to the frozen ground and dig the grave for a dog shot by poachers. Driven and determined in her memory, Bassie refuses to let this one final and vivid image of her mother be bulldozed away. But when the ground is excavated, far more than dogs’ bones are unearthed, and the discovery of what is buried in the grave sends Bassie and Meg on a search back through time to the turn of the last century and into the secret lives of Bassie’s mother and father — Hannah and Elliott Bass — and Vicente Morales. The journey shakes the foundation of the history on which Bassie has built her life and her long career and changes Meg’s perception of the past as well as her expectations for her own future. In the fabled landscape of her ancestry, Meg allows herself at last to read the journals and reconstruct the past, solving a shocking and confounding mystery. With the support of Jim Layton, the archaeologist involved in the excavation, she sets out to find the one missing journal — suspected to exist but never confirmed — that will detail the final year of Hannah’s life and shed light on the unexplained disappearance of Hannah’s husband, Elliott. Both a fascinating historical epic of the Southwest and a searing personal story of one family’s coming to terms with its own past, The Night Journal is a contemporary love story and a historical mystery, depicting the conflict between cultures in New Mexico at the turn of the last century, between sexes both then and now, and inevitably the conflicts between generations. It is centered on the mystery of the contents buried in a dog’s grave, but the underlying, broader mystery is about connections between the past and the present and the ways in which people relate to their ancestors both in life and in legacy. Your previous two novels were works of historical fiction, and The Night Journal contains a historical novel of sorts within its framework, in the journals of Hannah Bass. What is it about historical fiction that interests you as a writer? My mother read a lot of historical fiction to my brother and sister and me when we were growing up: the Newbery winners like Caddie Woodlawn and The Bronze Bow, classics by authors such as Frances Hodgson Burnett and Fred Gibson, and a long list of others — The Witch of Blackbird Pond, Roller Skates, Five Little Peppers, and Thee, Hannah! come to mind — these books were an enormous part of my family life as we experienced them together. There was a magical book called Blue Willow and one that I still cherish in a battered old copy, The Colt from Moon Mountain, and all the books by Louisa May Alcott, which were not exactly historical when they were written but were old-fashioned and otherworldly to me. My brother and I also watched a lot of old westerns, like Gunsmoke and Bonanza, on television; so I suppose I became comfortable at an early age moving in and out of the past. As a teenager I fell in love with the Brontë novels and Dickens and historical novels by Daphne du Maurier and Elizabeth Goudge. The Child from the Sea was particularly moving and unforgettable and I can still remember almost word for word an image described at the very end. I never liked fantasy books — even those my brother loved such as the Narnia series and A Wrinkle in Time — I found them unnerving and ultimately unbelievable as they suspended the rules of life. History, to the contrary, defined and clarified the rules, and this was a great relief to me as it gave me an understanding of reality. To study an era of time and be able to fathom it -- that was satisfying. I’m not an adventurous person as far as travel goes, being fairly rooted, but researching the past is like traveling in time and is preposterously exciting for me. Stories about the past, even violent and disturbing ones, seem comforting and familiar as they are based on the premise of real life. How did this novel, which is based both in the 1890s and 1989, pose challenges to you as a writer? What was it like to balance and juxtapose the frontier diary voice of Hannah with the more modern perspective and voice of Meg? 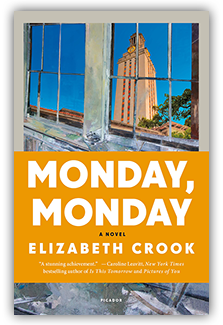 When I started this book I had just completed my second book, which was an old-fashioned historical epic about love and war set in Texas in the 1830s. I was reluctant to get back into the chaotic and extensive research required for historical fiction and decided to try to write a contemporary novel. I cast about for material, but was uninspired. Then my husband and I took a trip to New Mexico, and some friends whom we were staying with suggested I drive over and look at some Pueblo ruins in the area. So I drove over to Pecos Pueblo. I think writers are always in search of those places that suddenly, for inexplicable reasons, set their minds on fire. Pecos did this for me the same way that the mission at La Bahia did when I wrote Promised Lands. I went down into one of the kivas and found it to be mesmerizing, with bits of floating dust illuminated by the light that came down form the entry above. And I knew this was a place I wanted to write about. Still, I was reluctant to start into so much heavy research again, so I had the sudden idea that perhaps I could set only half of the book in the past, and that this would liberate me and require me to do only half the amount of research. However, this plan turned out to be ridiculous. To write even a few historical scenes with any authenticity — even just to get your characters out of bed and feed them breakfast — you have to know the period intimately. You have to know everything about it that would affect the characters, which is pretty well everything. In the end the book took twice as long to write as my other books, instead of half as long. I was developing two sets of characters, in two different time periods, writing in several different voices; and then I had to piece it all together and make it work as a whole and cut each story down to half the size it wanted to be, so that the book would be a viable length. Writing Hannah’s part, once the research was done, was not too difficult, but I had trouble settling on the contemporary narrative voice and struggled with this right up to the last draft. Third person is more difficult to write than first person, as it requires more discipline. So each story presented its own specific challenge: for Hannah’s story it was the research, for Meg’s it was the voice. Which is one reason I was relieved to go back and forth between the two. Ultimately that jump in time became the most important thing about the book. The book is about family legacies and how our generation often feels like a paler version of our ancestors, and what it would be like if we could actually go back and reconstruct the lives of our great and great-great grandparents, and see these lives not as they have been represented to us but as they really were. So it necessarily needed to span the generations. All of us live our lives with some amount of secrecy, and this influences how we will be remembered: most of us in subtle ways edit the real story to put ourselves in the best light. Later the stories about us that are passed down and the photographs and letters that survive are all to some extent altered by successive generations and by the arbitrary deletions and distortions of time — artifacts are lost, records are destroyed, evidence goes up in flames — so that often what is left is a long way from the truth. History does not take place in a vacuum; one day leads to the next, and I wanted this book to show how even the events that are untold or forgotten string along from the past to the present on a continuous strand. How much research did you do in the course of writing this novel? A great deal. When you write historical fiction you have to disappear daily though a wormhole to the past and arrive at the location of your story. Once you’re there you have to understand the life-style perfectly enough to dress your characters, and move them around, and help them make a living. I always dread the research this requires, but once I start, it draws me in. It’s especially compelling in the beginning when you don’t know exactly what kind of facts you’re looking for; you’re just traveling through the material — obscure old accounts, old catalogs like Montgomery Ward’s, compilations of correspondence, books about the architecture, transportation, politics, and every other aspect of the times — and finding things to dramatize. It’s an act of discovery, a treasure hunt. One find leads to another. Writing historical fiction isn’t so much about making things up as about finding those moments in history, or even just the details of daily life in the past that lend themselves to drama. I didn’t know in the beginning that the book would contain so much about the railroad industry or about the treatments for tuberculosis. But the fact is, if you start reading about New Mexico, you’re going to come across the railroad and the historical Harvey Hotels and resorts, and you’re going to learn about sanatoriums for tuberculosis patients, which were a big business and philanthropic endeavor in that territory for many years. And you’re probably going to notice the drama in this information. A story will start to form. I’m not a writer with a lot of vision, but I recognize moments when I come across them, I recognize that the hills outside of Las Vegas, New Mexico, are a moody and evocative landscape, and that Pecos Pueblo and the Montezuma Hotel have limitless stories embedded in their histories. And I can figure out, with a lot of trial and error and over the course of years, how to make coherent use of these aspects and events. How much of this story is true? Which locations and stories are based on real-life counterparts? The contemporary characters are completely mine. Some of my friends might recognize a few of their personality traits transfused into one or two of the characters, or a moment of interaction might seem vaguely familiar to them; but I suppose this is usually the case in most novels — that snippets of real life are put in there. Bassie isn’t fashioned after any one individual, but I’ve known and dearly loved several cantankerous old women who have shared a few of her qualities. Some of the events in Hannah’s journals are inspired by family history. My great grandparents moved to Texas because my great grandfather was suffering from terminal tuberculosis (as ultimately is the character of Hannah in the novel) and the dry air of the Texas hill country was said to be curative. It was only when I began researching the history of tuberculosis and its treatment, when I was writing the novel, that I began to understand how deeply this person and his family suffered. I think this is the usual case with family stories — they lose their clarity eventually, and a person’s life is reduced to a statement such as “My great grandfather died of tuberculosis.” Only through research can we come close to the reality of what a statement like this really means. There was a family in Las Vegas similar to the Morales family in the book, but there was not a character specifically like Vicente Morales. Parts of Elliott’s career are based roughly on the achievements of two different railroad survey engineers from the period, one in particular who left behind a number of letters to his wife. He is mentioned in my acknowledgments. However, he died well before my character Elliott did in the story, and therefore my use of a second engineer to continue the career and the advancement of the railroad up to the turn of the last century. The places in the novel are all real. I try never to take liberties with facts, such as dates or places, because I want the reader to know that the story could have happened exactly the way I’ve written it, even if it didn’t actually happen at all. I don’t put vegetation where it doesn’t grow or wildlife where it doesn’t live. I don’t invent buildings or towns. I try to get details right. However, I don’t mind digging up a dead body that was never actually buried — as long as it could have been. Why tell the story through the granddaughter, Meg, who is one generation removed from Bassie, and not her daughter, Nina? Bassie needed to be elderly in order to have been born in Hannah’s time. Meg needed to be moderately young, because I wanted her life still to be ahead of her so that the lessons she learned in the course of the story wouldn’t be wasted. Also, the age difference allowed me to see the modern part of the story not only from two different viewpoints but also from two widely different stages of life. Nina filled in the gap between these two women with a character I hoped to be believable as Bassie’s daughter — with the necessary damage to her self-confidence that having Bassie for a mother would entail — and also believable as Meg’s mother, with a plausible effect on Meg. It was tricky fitting the historical time frames together, because I had a lot of events that had to happen at certain times: the Mormon massacre, the years that the Montezuma was open, the beginning of tourism in the west. I would have liked to make Meg’s story exactly contemporary — 2006 — but couldn’t pull that off without making Bassie too old to be credible. So Meg’s story had to be set in the 1980s at the very latest. At one point in the writing I thought I could simply be vague about when, exactly, Meg and Bassie traveled to New Mexico, and that no one would notice — it could feel as if the story happened anytime in the last ten or fifteen years without putting a date to it. But then there was the problem of cell phones. You can’t fudge on something like that: either your characters have cell phones or they don’t. And if they do, the story changes, things are handled differently; the entire way in which Meg relates to her work back in Austin while she’s in New Mexico would be drastically different if she were carrying a cell phone. In the end I simply fell back on my rule of authenticity: it had to happen in a way it could have happened. So, for Elliott to have survived the Mormon massacre, and to have married Hannah without too much of an age difference between them, and for Hannah to have given birth to Bassie, and for Bassie to remain a force to reckon with during my contemporary plot, then the latest Meg and Bassie could have taken the trip to New Mexico was about 1989. The land of New Mexico, vividly described in both Hannah’s journals and Meg’s modern observations, is very much a character in the novel. What drew you to this geographic area and these time periods specifically? Making the land a prominent part of the book gives the reader a sense of where they are. It certainly grounds me as a writer. It also sets the mood. As for the landscape I selected, after writing about the Texas Revolution in my second book I didn’t want to write about Texas again. I toyed with several ideas for stories in the northeast, but in the end it just seemed natural to stay in the southwest and simply move a little farther west and a little later in time from the last book I’d written. Then when I discovered Pecos Pueblo, I started nosing around for a story. Right outside of Pecos there was a sign that said LAS VEGAS 60 MILES, and I thought it was referring to Las Vegas, Nevada, so I decided I would drive over there and see what was going on. Of course nothing was going on: Las Vegas, New Mexico, is not Las Vegas, Nevada. It is a small town. There are not a lot of billboards or flashing neon signs on the outskirts, which was my first indication that I was not in Nevada. Nevertheless the place interested me when I got there, and I went into the old Plaza Hotel on the square and asked what there was to see in the area. I was told there was a huge old abandoned resort hotel ten miles up in the mountains that had been in operation at the turn of the century but was now nearly in ruins, so I drove up there. Seeing that place from the winding road, with the spires rising up out of those hills — is breathtaking, and I knew the moment I lay eyes on it that I had found a second location for my story. I parked on the campus area around the building but the building was in such bad shape that it had been roped off and locked up. The next night I came back with my husband and we stayed at the Plaza Hotel and went back to the Montezuma, and I ignored the NO TRESPASSING signs to get a better look. But it was dark and I couldn’t see much, and I couldn’t get in. It happened that at dinner later that night at the Plaza I overheard the people at the next table talking about the Montezuma; one in that party turned out to be Philip Geier, the president of the United World College, that owned the Montezuma, as it was located on their campus. I introduced myself and he very kindly offered to set up a tour with the caretaker so I could see the interior. So I found the places for the story by starting off without a notion of where I wanted to end up. I think this is not unusual. Much of Hannah’s early diary entries are presented directly to the reader, telling of her travels, time spent at the Montezuma, and her courtship with Elliott Bass. The later journals, after she marries Elliott and has Claudia, are summarized for the reader. Why did you choose to put this distance between the journals and the reader? Was it to convey plot points more quickly than a re-recreation of diary entries would allow, or to create a distance between the reader and Hannah, so that the reader knows the journals through Meg’s perspective? Exactly right on both counts. I couldn’t write the whole journal, which was (supposedly) volumes long. I had to leave out anything that didn’t advance the plot or give crucial information about the characters. Also, I wanted the reader to see some of Hannah’s life through Meg’s reading of the journals as a way to draw their stories together. It’s tricky to write scenes in journal format without making the journalist (in this case Hannah) appear self-absorbed. Descriptions by a “journalist” or “diarist” of himself or herself are off-putting when they require too much self-awareness. It’s a curse to a lot of books written in first person: the reader immediately dislikes a narrator who is talking a lot about himself and seems preoccupied with his own appearance or other people’s impression of him. I had to tinker with Hannah’s journals constantly in order to avoid this pitfall, and am not sure how well I succeeded. I had to give her an urgent reason for writing: she wants to compose a record of her times and of what it is like for a woman to live in the west. She is, therefore, writing her observations about the place and the people who live there; she is outwardly observant instead of inwardly absorbed. This keeps her from seeming annoyingly full of herself. It is one thing in a journal to describe events and situations that pertain to other people, and even to describe an emotional reaction to those events. It is less appealing to describe oneself within a scene; I needed, at times, to relieve Hannah from doing this. Writing some of the scenes in third person helped, as it allowed me to observe Hannah without her needing constantly to observe herself. Several of the characters witness violent deaths early in their respective development: Hannah’s earliest diary entries after witnessing the deaths from the train accident; the horrific, prolonged massacre at Mountain Meadows of Elliott’s parents; the gory deaths of Jim’s parents in a car crash. Why as a writer did you feel it was important to include these scenes: in your opinion, how does violence irreparably change a person? Hmm. I hadn’t actually realized that so many of the characters had violence in their history. I suppose I find violence both troubling and deeply interesting. I’ve always found it easier to write violent scenes than to read them or watch them in a movie, because I’m in control of what happens. Nothing is going to happen unless I allow it to, and there’s a certain comfort in that. Perhaps the reason I’m drawn to violence is the same for many people: we want to see things from the inside in order to understand them and to come to terms with them — to put them to rest, if that’s possible (and often I think it isn’t, but the desire is still there). It isn’t just morbidity or gruesomeness that draws us, but empathy with the victims, and the sense that by investing in the violence we can somehow then deal with it better emotionally in real life. What writers or books have had an important influence on you or your life? My mother read to us — I’ve mentioned the books that first come to mind in the answer to a previous question, but there were a lot of other books with more contemporary stories. I also grew up loving poetry: my grandmother on my mother’s side and also my father were constantly quoting from memory. I was fortunate to grow up in a family of readers. These days I find myself more interested in nonfiction history than historical fiction, and it certainly has more of an influence on my life. One of the last scenes I injected into The Night Journal was the train wreck that occurs at the beginning of the journals; books about nineteenth-century train wrecks completely engrossed me while I was casting aside historical novel after novel that failed to capture me. This caused me to realize how much I love reading true accounts of actual events, and how meaningful and necessary these are, and how much I appreciate them as literature. In these accounts the information is all there for the taking; it has not been filtered through anyone else’s imagination. At the moment I’m enjoying the feeling of being finished and not splitting time between two worlds, only one of which is real. When I finally start on something new I’ll be dealing again with an unformed plotline supported by too many note cards, too many undeveloped characters, too many thoughts; I’ll be waking up in the night too often to scribble an idea on a notepad in the dark only to look at in the morning and wonder what in the heck it says. It’s chaotic, really, and disorienting. Writing is fueled by an urgency to finish, and this is a great thing for a short project, but stringing that feeling along for years on end can get uncomfortable. I’m not in any hurry to start it up again. But the fact is, I won’t be happy for long if I’m not writing. So I’ll probably look around for a while, and then one day wander into some place like the kiva at Pecos Pueblo, and my heart will start pounding, and that will be it. I won’t really come out of there for several years. 1. How important is it in our contemporary lives to feel a connection to the past or to have an understanding of our ancestors? Are the stories about your ancestors important to your own self-image? 2. Are we, as a generation, pale in comparison to our ancestors, as Meg seems to believe? In other words, do we lack their strength? Are there ways in which we are stronger? 3. Most of the major characters in the book have suffered difficult or traumatic childhood experiences. Is it inevitable that difficult childhoods lead to dysfunctional relationships later in life, or can these experiences be overcome? What are the different ways in which each character attempts to cope? Do you think Elliott’s attempt to leave the past behind by focusing only on the future, and refusing to talk about his memories, can be effective? 4. Bassie essentially raised both Nina and Meg. Why did her overbearing personality affect them so differently? Are some children more genetically inclined to survive bad parenting? 5. Many of the central characters — Bassie, Elliott, Jim, and even Meg — are in some respects orphans. What does it mean to be an orphan? How does being orphaned affect a person’s connection to the world around them? 6. Which of the historical male characters are you more drawn to — Elliott Bass or Vicente Morales? Which one do you respect more? 7. Is your respect for Hannah diminished by the ultimate revelation of her affair with Vicente? Do you think you, as a reader, are more forgiving of, and less judgmental about, extramarital affairs between historical characters than you are of those between contemporary characters? 8. Do you believe Meg and Jim are soul mates, kept apart through circumstance, or are they merely swept up in the drama of Hannah and Elliott’s story? 9. Are you relieved that Meg ultimately resists having an affair with Jim, or would you feel more satisfied if she had allowed the relationship to go further? In general do you prefer, in literature, to be gratified or left slightly unsatisfied? Do you feel that stories, and perhaps even real-life stories, are richer if a deep love affair is left somewhat unrealized, or if it is fully satisfied? 10. Given Meg’s personality, do you think she matures and changes enough in the course of the book that her future will be different from what it would have been had she not gone to New Mexico with Bassie?